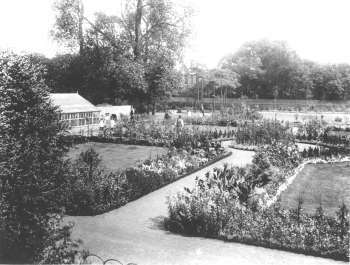 The park was opened in August 1905 following the acquisition of Mountsfield, the former house of Henry Stainton. Seven more acres were bought from the School Board for London and six (formerly allotments) from Trinity College. When Charlton Athletic gave up the football ground at the bottom of the hill that also was added to the park, which by 1923 had grown to 28 acres. The row of houses on the south side of George Lane were bombed during World War II and the land was bought from Trinity College. Finally in 1994 a major part of the Catford Boys School playing field was added.